Anyone who already uses charter planes for business trips is aware of the many advantages they offer and will no longer want to do without those amenities. For all still using commercial aircraft we provide an outline of a typical business trip using a charter plane. Your assistant will hardly notice any difference in the preparations or flight bookings – because booking a charter flight is just as easy, if not easier, than booking a commercial flight. For you, the preparations are much more relaxed than normal. You don’t need to worry about the number or size of your luggage; you won’t even need to take as much luggage because a charter flight allows you to be more flexible and therefore get back home faster. If you have any special catering requests, discuss these with your assistant, who can add your preferences directly to the booking, allowing you to enjoy catering perfectly tailored to your needs. On the day of departure you prepare for your flight at complete ease. You only need to get there just prior to departure and thus, avoid the waiting times at check-in, security check and at the gate or lounge. Added to this is the fact that you set the departure time to fit your schedule. If, for example, your meeting is early in the morning or late in the evening, you don’t need to stay overnight at a hotel. Simply plan your departure so that you arrive on time for your meeting, and then fly back home, relaxed and at ease. This flexibility means several meetings in different cities are also no problem – even if they are all held on one day or on consecutive days. Charter planes are smaller and somewhat easier to handle than larger aircraft they can also land at smaller airports with shorter runways. This allows you to get closer to your actual destination which might substantially reduce the time needed for onward transportation – particularly if your business trips are to rural areas with no major airport nearby. On a charter plane, you decide who accompanies you on the flight. If you want to prepare for your upcoming meeting, you can take your team leader along and discuss details during the flight. Because there are no other passengers there is no question of any confidential information being leaked. If you would rather enjoy the peace and quiet in order to arrive at your destination fresh and invigorated you fly alone and take a break during the flight. Whether with or without flight attendants, the level of comfort onboard a charter plane is much higher than on commercial flights. Extra convenient seats, even divans, ample legroom and obliging staff ensure you feel good right from the outset. If you’re flying longer distances or in larger aircraft (e.g. 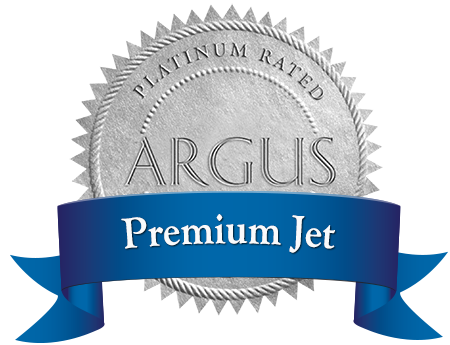 midsize jets), you can also enjoy gourmet catering tailored to your personal preferences. Never-ending meetings or unexpected plan changes are no problem when traveling by charter. Simply send word that the flight route has changed or that you’re running late and the plane will wait for you and fit in with your schedule. Business trips using charter plans offer many advantages, particularly flexibility in terms of times and airports, speed and comfort. The ability to prepare for or review meetings onboard makes for an added time saving.